New composition asphalt shingle options are much more varied than in the past. When you are in the market for a new composition roof, trust the experts at Alamo Heights Roofing, Inc. We are a full-service roofing contractor that serves all of the greater San Antonio area. By trusting us with your roofing business, you can know that the job will be done right using the best materials on the market today. 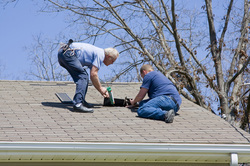 You may consider using an architectural (or laminate) shingle on your roof. They can replicate slate or wood shakes and have great color variations and textures. If you currently don’t have a composition asphalt shingle roof, you should know that this roofing system requires very little maintenance, is easy to repair and has a variety of styles, designs and colors. At Alamo Heights Roofing, Inc, we back all manufacturer warranties. When the time has come for a new roof on your home, call the experts in the greater San Antonio area at Alamo Heights Roofing, Inc., at (210) 446-5570 with any questions or to schedule a free estimate. Our company is fully licensed and insured, and we bring in a quality control person to inspect our work when finished, to ensure your satisfaction. With a new composition shingle roof, your home will look better, be more protected against the elements and increase in value. Put your confidence in Alamo Heights Roofing Inc. 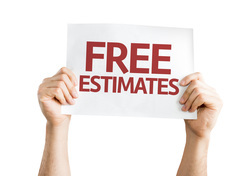 Call us today at (210) 446-5338 with any roofing repair questions or to schedule a free estimate on any of our services. Or, simply complete a request for quote here.